Fogg Dam birdwatching, water lillies and pythons. 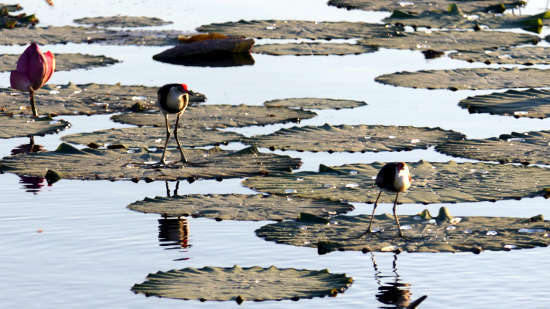 Many tours from Darwin visit the Fogg Dam bird watching conservation park to see birds galore, including Jabiru, Brolga, Magpie Geese and hundreds of other species which have been sighted in this park. They come because there are so many birds here you don't need to be an ardent birdwatcher to be impressed. 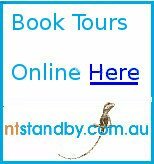 Most tours are en route to Kakadu, Adelaide River or even Litchfield Park, so most only stay for a brief visit. 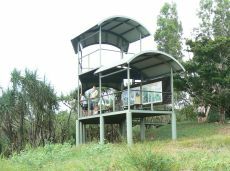 Enthiusiastic birdwatchers will want to stay longer, and visit the park many times to catch the seasonal changes that occur through the year. 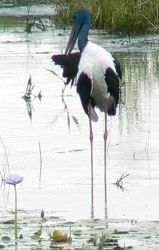 Confirmed sightings of 230 species of birds have been listed here in The Australian Bird Atlas. 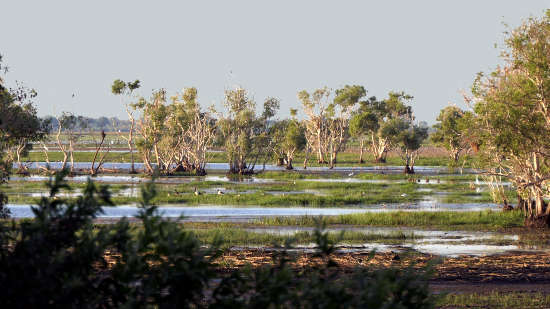 With open water, floodplain, monsoon and paperbark forest, and swamp environments all in a small area, there is suitable habitat for many different types of birds. Access to the large viewing platform (left) is via the causeway (above right) which is about the only visible reminder of a failed rice farming venture here in the 1950's. This causeway provides a large, shallow water body ideal for wildlife. During the wet season wetlands like this cover hundreds of thousands of square kilometres. 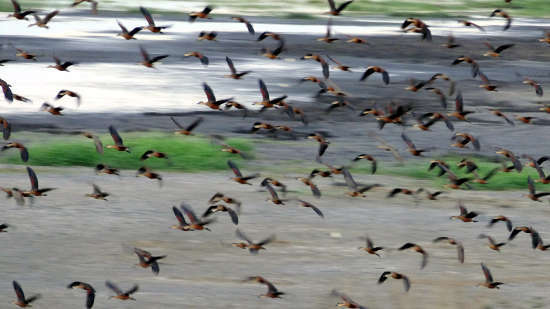 This area shrinks during the rainless dry season to as little as 2% of the area, resulting in a concentration of water birds in the remaining water. 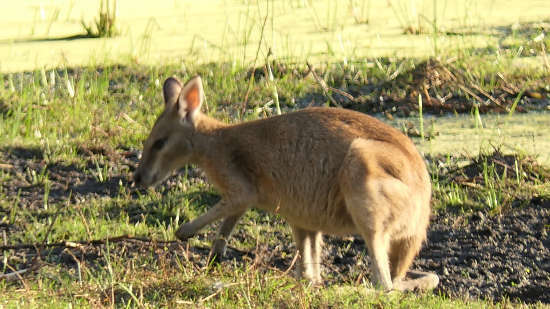 A wallaby feeds peacefully at the edge of the dam. As this information board explains, birds and wallabies are not the only wildlife in abundance. During the dry season Dusky Rats and Water Pythons breed up to enormous numbers making the area one of the highest concentrations of animal life in the world. There is no charge for visiting, remember your insect repellant and keep away from the water's edge - this is crocodile country. 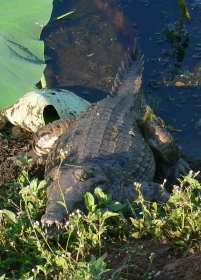 It would be quite easy to trip over a croc like this one waiting on the side of the causeway, they can be difficult to see amongst the foliage and reeds. There are also plenty of birds in the suburban areas of Darwin and other NT towns. See some photos of Darwins birds here, more garden birds here, and some local water birds here. Return from Fogg Dam Birdwatching to Enjoy Darwin Home.